650 v star classic trike . 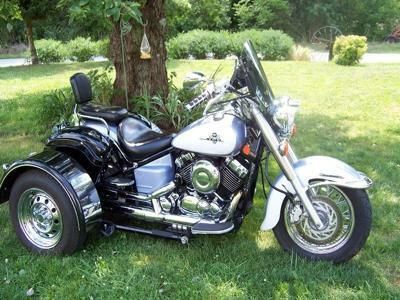 2002 V Star 650 Classic with a voyager trike kit.nice ride . Comments for little startrike . This is like by first bike and it was the love of my life. Never forget your first love!!! i love the look's of the ride.very nice.